Katia didn’t grow up on a farm herself; she grew up on the South Shore of Boston, an area no longer known for arable land. Still, she had always known she wanted to work with large animals. A five-year apprenticeship with a veterinarian and a family connection led Katia to a biodynamic dairy—Seven Stars Farm in Pennsylvania—where she fell in love not only with cows, but also with Brendan. 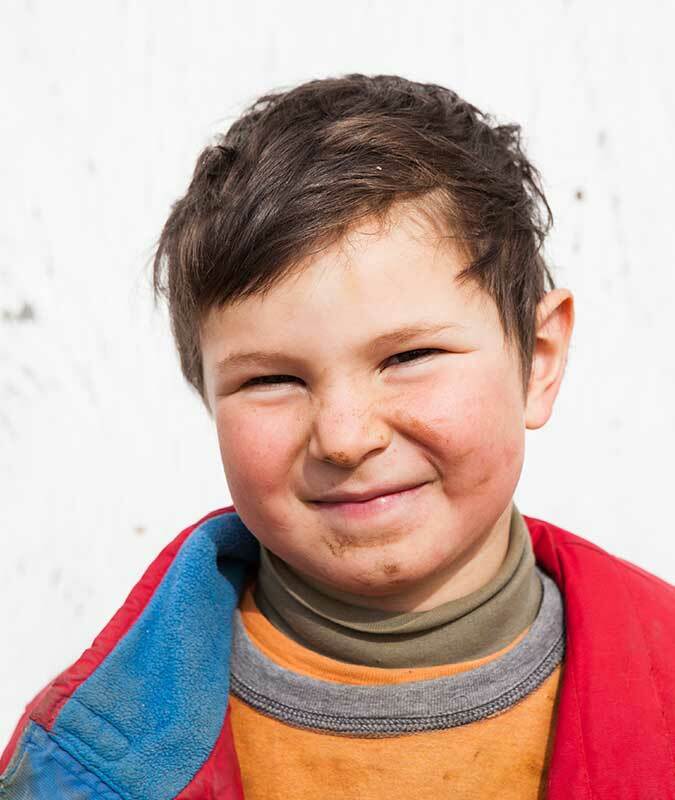 Brendan hadn’t grown up on a farm either, but as a child in North Yorkshire, England he’d walked downhill to visit a neighbor’s farm nearly every day. 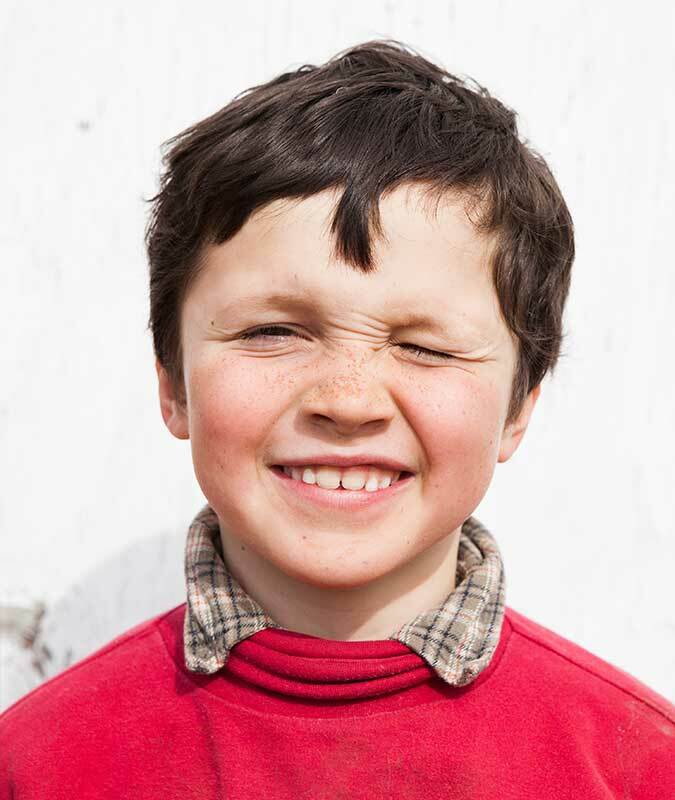 Since the age of five Brendan knew what he wanted to do: anyone that married him was marrying a farmer. And that worked just fine for Katia. She liked the idea of keeping her own animals healthy rather than tending to other people’s animals when they were sick. After informal study in Pennsylvania, the pair attended the biodynamic and organic farming course at Emerson College in Sussex, England and when they returned to the States in 2004, they were ready to take on land of their own. From 2004 through 2013 the Holmeses ran a diversified livestock and vegetable operation around Hardwick, Massachusetts. All around Hardwick, Katia and Brendan cobbled together a patchwork of fields owned by 14 landlords in 4 towns, traveling up to 20 miles between parcels. After their sons Alister and John were born in 2007 and 2009, the desire for a centralized farm to call their own became even stronger. The Holmes family joined all of the New England LandLink programs and looked at farms in several states. “About the only things we buy are coffee and maple syrup. We're trying to offer people the same experience we have with eating in-season and very locally." The farm they found in Albion, Maine was part of Maine Farmland Trust’s “Buy, Protect, Sell” program; the Trust lined up a combination of state and federal grant funds to finance an agricultural conservation easement and lower the resale price, which put the purchase within reach of the Holmes family. As they worked up a new business plan, Katia and Brendan realized the financially sound way to make Misty Brook’s 250-mile transition was to bridge their established customer base to Maine through eastern Massachusetts. In 2012 they began attending the Somerville Farmers Market just outside of Boston and in the summer of 2013, the Holmeses and their helpers ran two Misty Brook Farms: one in Massachusetts and one in Maine. The new Misty Brook in Albion is 412 acres, about half certified- organic fields and half woods. The Sebasticook Regional Land Trust retains the rights to build trails on parts of the protected property, which now sports a green and white FOREVER FARM sign. 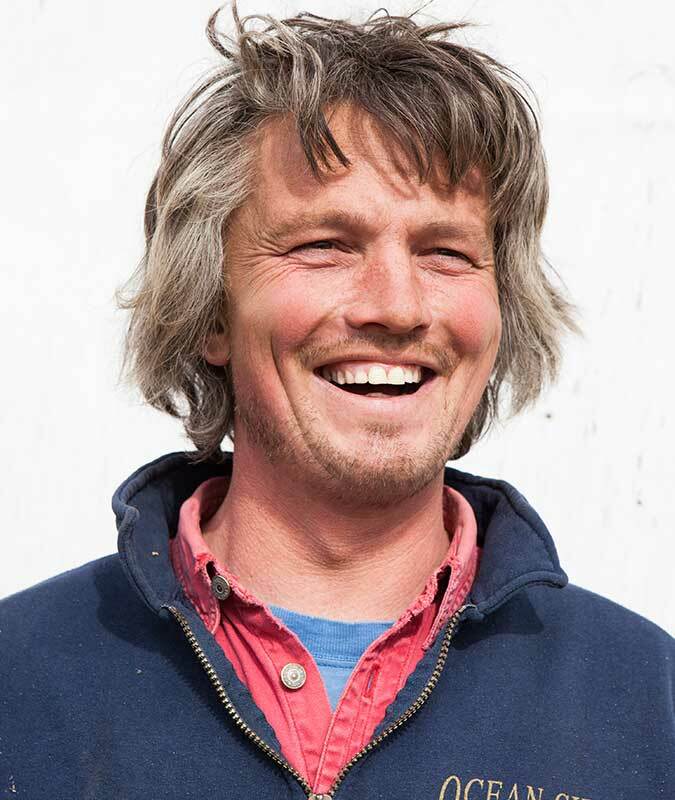 Making the move to Maine has allowed the Holmeses to farm to their biodynamic ideals: “It’s really given us the opportunity to do a lot of things in a much more ideal way,” says Katia. “We’ve been able to take the farm organism to another level with everything so close.” In the pastures of Misty Brook, Freedom Ranger broiler hens scratch for bugs and eat clover, and in the cornfield, the pigs—twenty Tamworth sows that love to forage—get the chance to glean the remainders after harvest. These breed choices were intentional: the Holmeses like livestock that exhibit natural tendencies. They also chose a breed of cow—the Jersey—that does well on a grass-fed diet while producing milk with high butterfat and protein. Last year Misty Brook was able to rotate the herd across the entire farm; every acre of field was grazed at some point in the season. “We think it’s really good for soil health to have that touch of cow,” Katia says. Misty Brook welcomes visitors year-round: Alister and John are always happy to give tours and the farm shop is open daily. Three other couples work on the farm alongside Brendan and Katia. One of them, Nell Finnigan and Justin Morace, came on to grow and manage the vegetables using their three draft horses—Barley, Rye, and Skip—rather than tractors. Katia also keeps two draft horses for haying, but the newest member of the farm family is Bella, a Maremma livestock guardian dog. With Bella on patrol, the Holmeses are talking about raising sheep again someday. 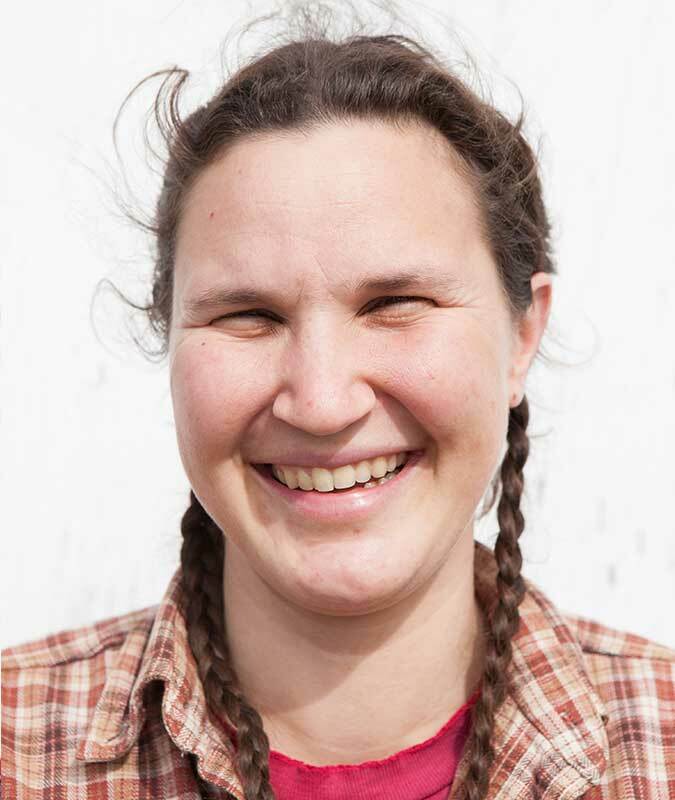 “Like everything else, we start doing something because we like to eat it,” says Katia.“And we miss eating sheep.” In Massachusetts, Misty Brook didn’t have the acreage or the fencing for a flock. The Holmeses also didn’t have the land base to grow cereals, but now they mill whole wheat, pastry, and rye flours from their own grains. Misty Brook also produces cornmeal, dry beans, and popcorn along with a huge variety of vegetables, paying particular attention to storage vegetables because the Holmeses feed themselves—and others—year-round. “We eat what we grow,” says Katia. “About the only things we buy are coffee and maple syrup. 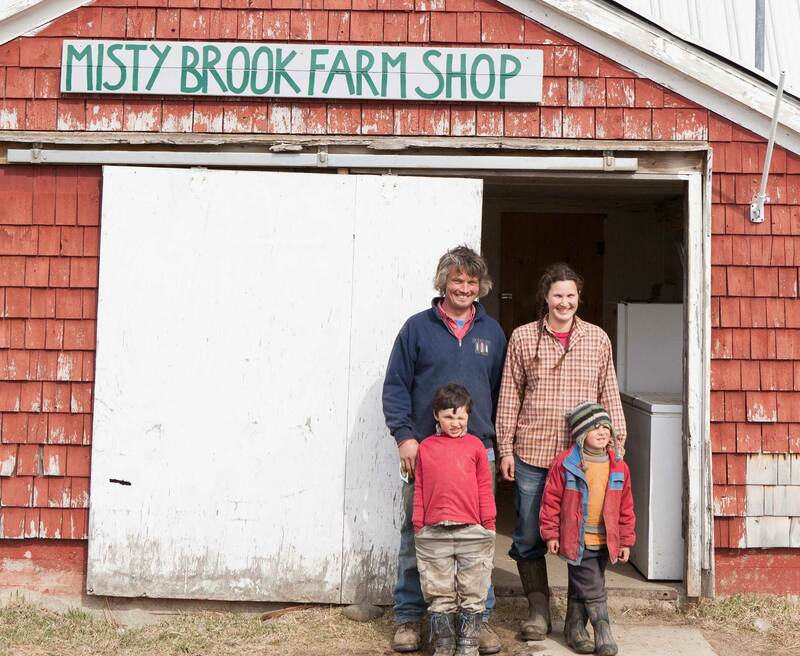 We’re trying to offer people the same experience we have with eating in-season and very locally.” In addition to the farm shop in Albion, Misty Brook runs a drop location in Eliot and maintains a presence at the Somerville Farmers Market, even though Misty Brook now farms only in Maine. In the fall of 2013, the farm also started a raw-milk delivery route to health food stores around Maine: out to Auburn, down to Scarborough, and along the coast to Belfast. The Holmeses are also leveraging their connections on behalf of others. 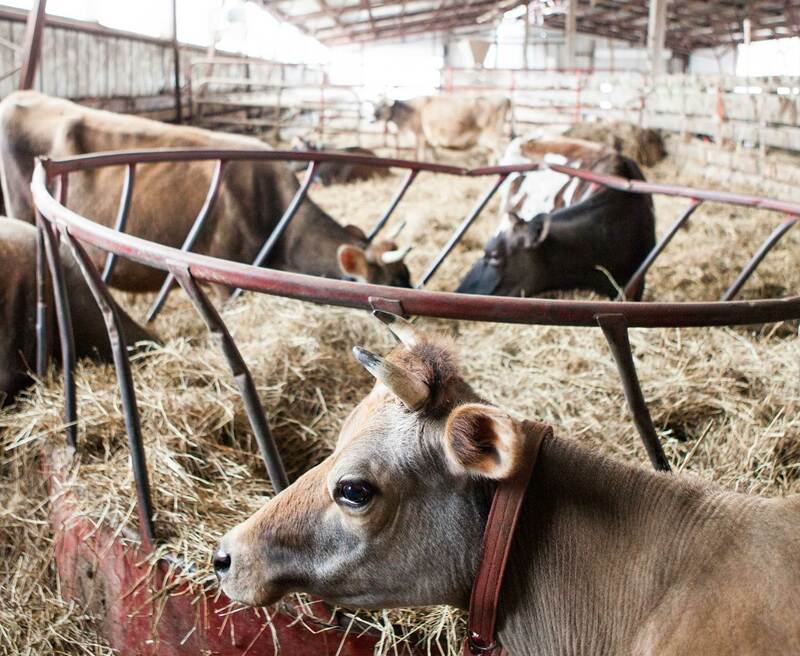 The farm recently started working with The Milkhouse— a small dairy in South China that specializes in yogurt— to share labor and delivery routes, while distributing their products farther. And they’ve connected with Farmers’ Gate Market, which offers Misty Brook veal and chicken to a larger customer base. “As farmers, you always need a community,” Katia says. In just a year, Misty Brook is already part of the local food ecosystem. The beauty of quiche is that it can be a vessel for anything you grow. This recipe allows you to play with whatever is in season or on hand; when it’s made in the Misty Brook kitchen all of the ingredients (except for salt) come from the farm. Combine flour and salt in a bowl. Cut lard by hand with a fork or use a food processor until the mixture resembles coarse crumbs. Don’t overdo it or the crust will be crumbly instead of flaky. Sprinkle water one tablespoon at a time over the mixture and fold until it holds together. Shape into a ball and let it rest in the refrigerator for at least 30 minutes. When the dough has had its rest, roll it out on a lightly floured surface to about ⅛ inch thickness. Transfer to a 10-inch pie dish and shape the edges. Pre-cook the crust for 10 minutes or until slightly golden. While the crust is cooking, whisk eggs, salt, herbs/seasoning, and milk together in a bowl. When the crust is done, add pre-cooked meat and/or vegetables. Pour on the egg mixture and sprinkle cheese on top. Cook for 30 minutes or until golden, with a center that doesn’t jiggle.